House Speaker Greg Stumbo announced Wednesday he is appointing a committee to investigate what he says have been threats by Gov. Matt Bevin against state lawmakers. The committee will be looking into instances where Bevin may have “forcefully” pressured lawmakers to switch to the GOP, Stumbo said. “I can’t sit by and allow these serious matters to go unlooked at or unattended to,” he said. Rep. Russ Meyer of Nicholasville alleged in August that Bevin had left a message threatening him and his district after he refused to change parties. A month and a half after Bevin made the phone call, Meyer said he learned that the administration had canceled an $11.2 million transportation project that he said is crucial to his district — a move Meyer said “absolutely” was payback for his refusal to change parties and become a Republican. 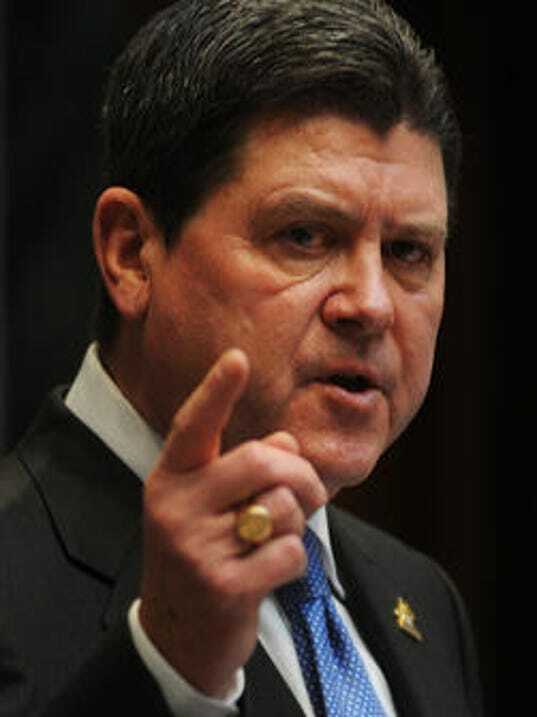 Stumbo said Wednesday that the House committee will have subpoena power and that if the executive branch breached the law, a felony charge for abuse of public trust could be made. He emphasized that it is not an impeachment committee, but rather it’s tasked with investigating what has happened between Bevin and lawmakers. “We’re not jumping to conclusions. We’re not playing politics,” he said. The Bevin administration has blamed the cancellation of the Jessamine County transportation project on the administration of former Gov. Steve Beshear, saying it rushed the project before the state had secured the land to build it. A Bevin spokeswoman also said that it was Meyer who was motivated by politics when he made the allegations about the recording. At the time of Bevin’s voicemail, Republicans were trying to recruit party-switchers in the House. Meyer’s district votes heavily Republican.